1. 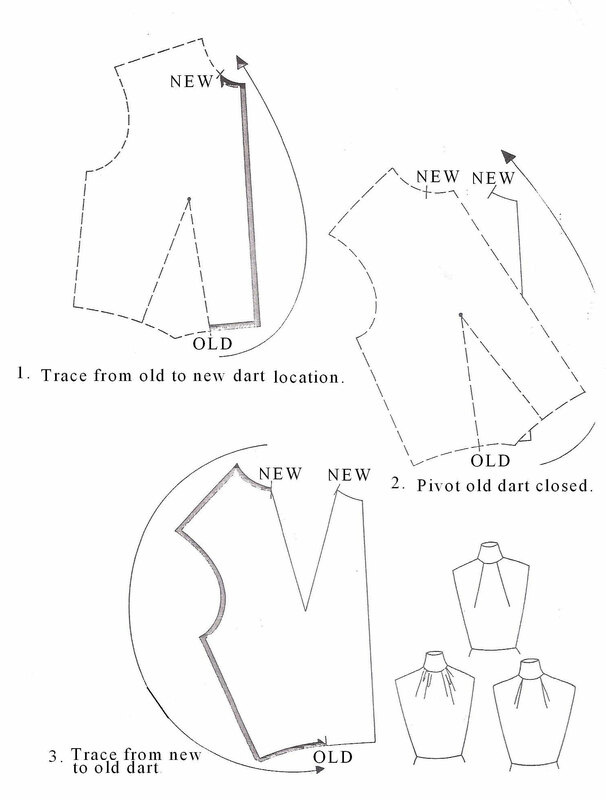 To create two darts from old dart, mark two new locations as desired. 2. 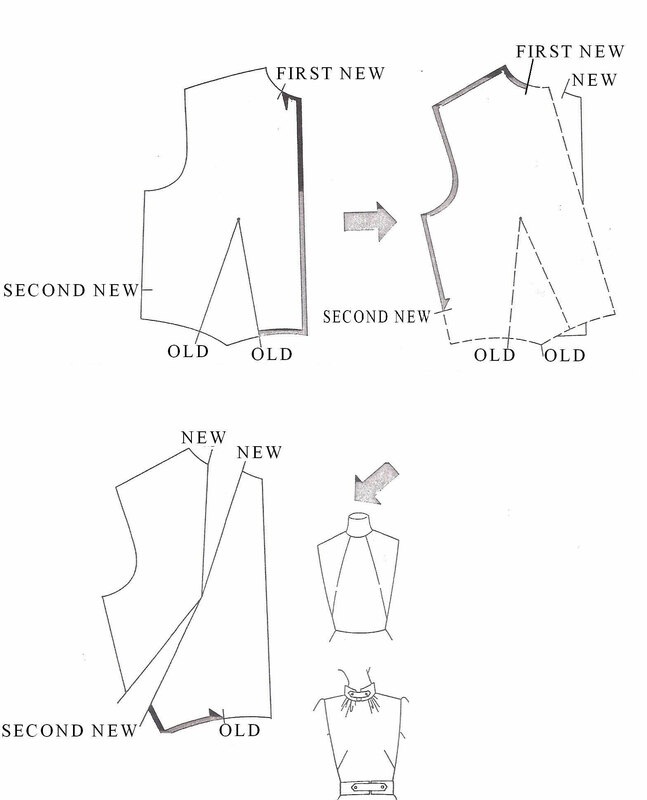 Trace from old dart to first new dart. 3. Pivot old dart completely closed. Trace from the second new dart position to the old dart . . .